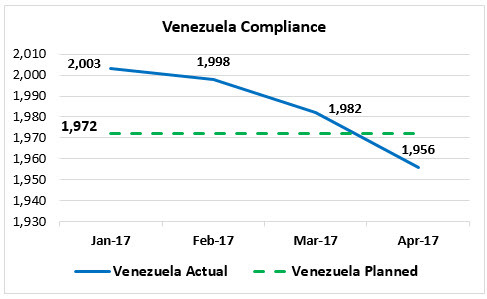 OPEC and Non-OPEC producers will be meeting tomorrow to discuss, and possibly finalize, an agreement to extend their production cuts beyond the original January-June 2017 period. The possibility of a six-month extension had been included in the original agreement. 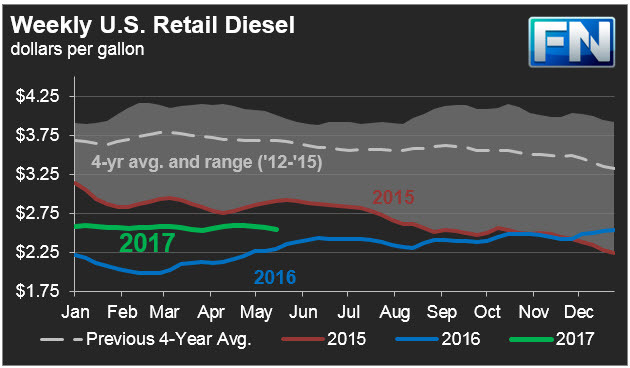 However, with global oil inventories remaining stubbornly high, the participants have been considering a nine-month extension rather than a six-month extension. The pledged cut volumes may be changed, and new participants may join. How have the countries changed their production levels relative to what they pledged? 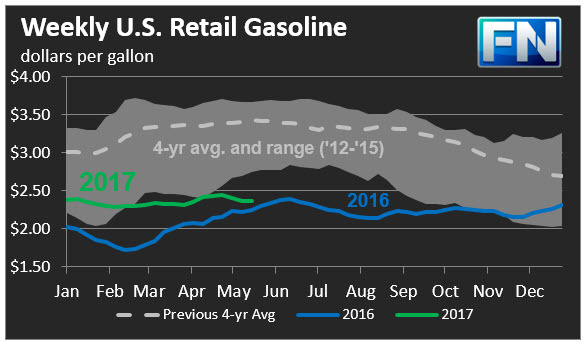 Our chart series uses the latest data now available from OPEC, covering the first four months of 2017. 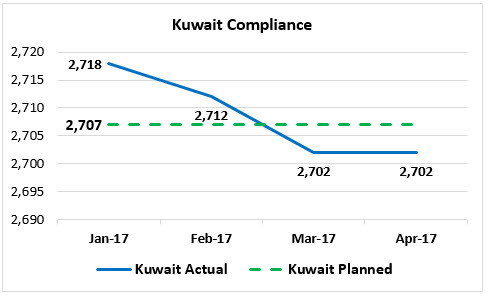 The data are attributed to secondary sources in OPEC’s Monthly Oil Market Report. In advance of tomorrow’s meeting, the charts provide a quick reference guide. Our country-level charts compare actual monthly production for the first four months of 2017 with the pledged production levels. 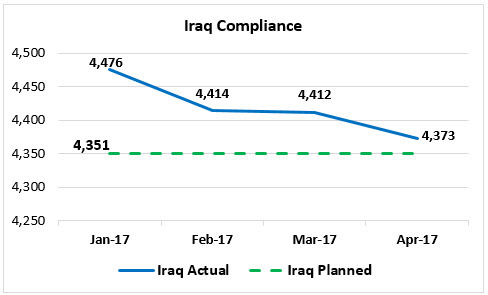 Therefore, it is possible to see which OPEC countries are in compliance, which have headed toward compliance by reducing output over the past four months, and which have been heading in the wrong direction. One of the key findings is that Saudi Arabia far and away shouldered the greatest burden in making deep production cuts. 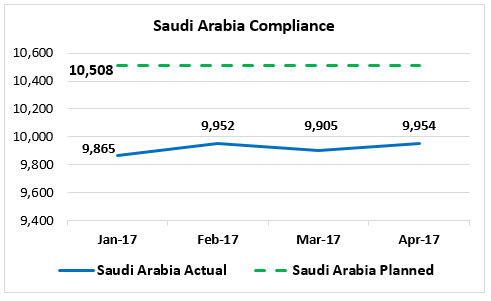 The Saudi cuts ensured high compliance rates for the group as a whole. Without Saudi Arabia, the target would not have been met. Saudi Arabia’s cuts routinely went 500-600 kbpd below its pledged target. 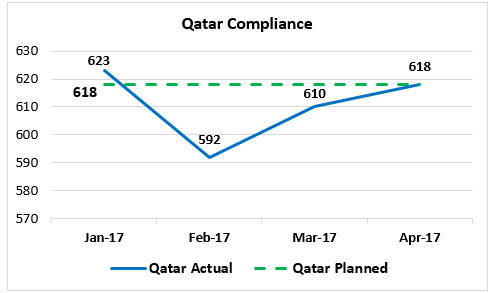 Qatar and Angola were in compliance for the most part, though production began to trend up in April. 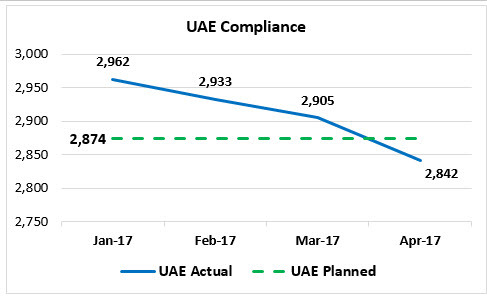 Kuwait, Venezuela, and the UAE made their cuts gradually, coming into compliance in the March-April period. 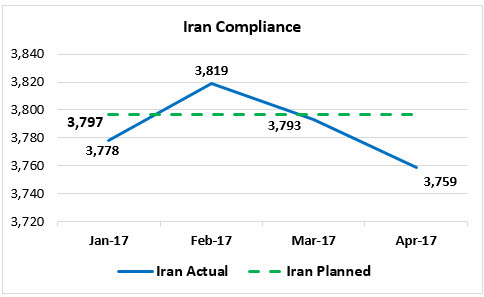 Iran increased production in February, but moved into compliance in March and April. 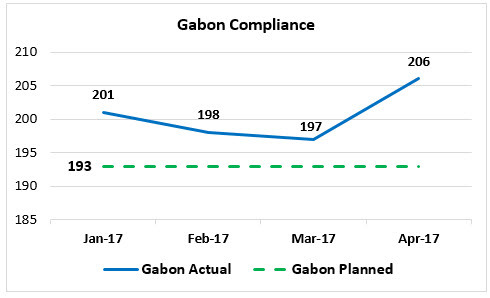 Algeria, Gabon, Ecuador, and Iraq did not comply with their targets during the January-April period. As time and space allow, we will follow this chart series with additional analysis.